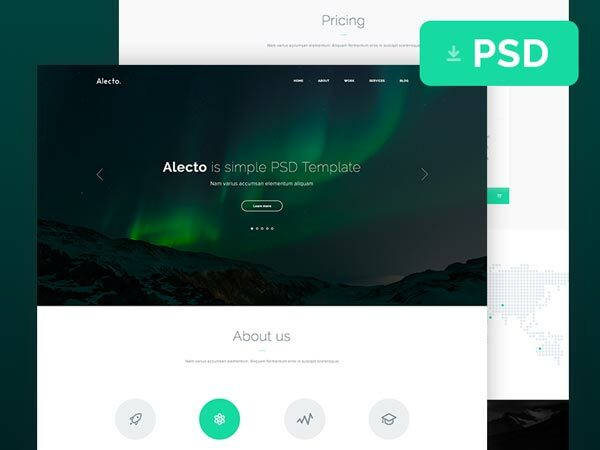 Alecto is a free website PSD template with a style focused on business and technology. The template is an ideal choice for designers who want to create a website for a small company. Freebie designed by Patryk Wąsik.